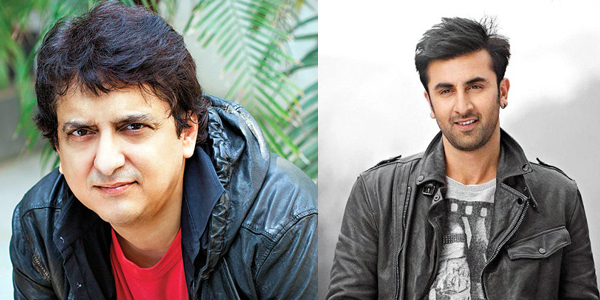 Raaga.com: Will Sajid Nadiadwala’s ‘Midas Touch’ break Ranbir Kapoor jinx? Will Sajid Nadiadwala’s ‘Midas Touch’ break Ranbir Kapoor jinx? Though Ranbir Kapoor may be going through a lean phase with three films BESHARAM, ROY and BOMBAY VELEVT bombing at the box office but Sajid Nadiadwala the producer of TAMASHA is going great guns with 10 movies in a row being super hit. One wonders will the golden luck of Sajid help in breaking the jinx of Ranbir Kapoor’s failure? It may be noted that like Ranbir Kapoor, Sajid Nadiadwala too was in a tight corner because after the mega hit films JUDWAA and MUJHSE SHAADI KAROGI both staring Salman Khan, Sajid Nadiadwala was bogged down by a lean phase with two films HAR DIL JO PYAR KAREGA (2000) and JAAN-E-MANN (2006) failing at the box office. But as the saying goes – ‘After dusk there is a dawn’ thus soon Sajid’s nightmare was over and with HEYY BABYY (2007) his career got a major boost. Since then he has been giving hit after hits HOUSEFULL , HOUSEFULL 2, ANJAANA ANJAANI, HIGHWAY, HEROPANTI, 2 STATES, KICK, PHANTOM are few examples. It may be remembered that his last release PHANTOM proved a saving grace for Saif Ali Khan and brought him out of the jinx that had plagued his career since 2013. Remember his string of flops GO GOA GONE, BULLETT RAJA, HUMSHAKALS, HAPPY ENDING, DOLLY KI DOLI . In addition Sajid Nadiadwala’s ‘Midas Touch’ also brought a break to the jinx of brilliant director Siddharth Anand. After three back to back flop films SALAAM NAMASTE, TA RA RUM PUM and BACHNA AE HASEENO, Siddharth Anand was able to deliver a hit with Sajid Nadiadwala produced film ANJAANA ANJAANI. Let’s hope Sajid Nadiadwala’s golden luck break Ranbir Kapoor jinx as it did for Saif Ali Khan!